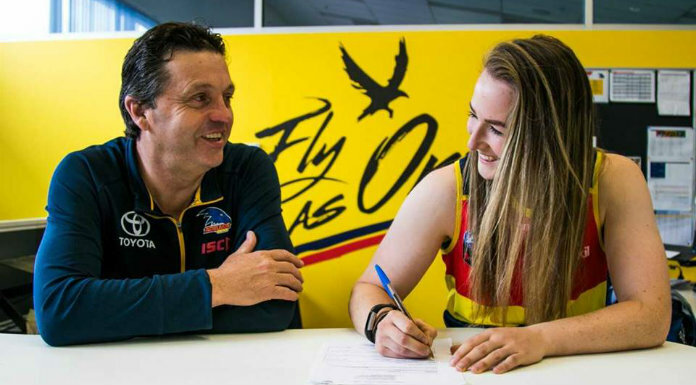 Kilmihill’s Ailish Considine has re-signed with Grand Final winners Adelaide Crows. The Clare dual star will return to Australia in 2020 on the back of a memorable debut season where she scored four goals in the Crows’ title winning campaign. Considine is among eight players to confirm their contract extensions with Adelaide, and is the second Irish player booked for next year after Tipperary’s Aisling McCarthy renewed her deal with the Western Bulldogs.